Some months back friends of mine were returning by car to Tiruvannamalai and got lost whilst trying to work out a quick detour route back to the City. Their detour strangely led them to an Ashram located near a small village. 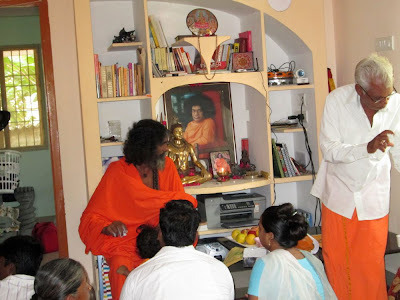 They stopped at the Ashram and found that the Swamiji in attendance was reputed to be a Siddha who had certain powers of clear seeing, prediction and transmission of energy through Blessings. As it so happened the experience my friends had with this Swamiji profoundly moved them and they returned to Tiruvannamalai determined to keep in close touch with this Sri Siva Jothi Mona Siddhar. Subsequently here at Tiruvannamalai I started hearing other people mentioning meeting a Siddhar who resided in a small Tamil Nadu village and how helpful his insight, guidance and blessings were in their lives. Finally yesterday evening, I received word from friends that Swamiji would be visiting Tiruvannamalai on a short trip and I was invited to their home to come and meet him. Today, Monday April 8th, I did in fact meet with Swamiji and was able to put several personal questions to him. The meeting was informal with few people in attendance. 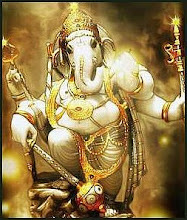 From what I understand Swamiji spent a number of years in North India meditating and performing tapas in the mountains. Nowadays he takes no solids and lives purely on a liquid diet. I hope to receive more biographical information about this Swamiji. But in the meantime I am posting some photographs I took today and also the following contact information of his Ashram. true sithar never give pose to photo never travel in car. loga boga vazkai vitu vilagi irupavar dhan true sithar brother. One can't define or circumscribe what true siddhars do. They leave in a rarefied spiritual atmosphere and our rules don't apply. I have been trying the above mentioned phone number from overseas, but I always here the message that it is switched off( implying it is a mobile number) . Could some one please help me to contact Siddhar? Please I need help for my health issue. I believe Siddhar can help me. Could someone help me get in touch with Siddhar over phone. I am unable to reach using the above phone number. Thanks in Dvance. Please send me an email through the address on the left column of this page letting me know what phone number you are currently using to get in touch with Siddhar Mona Swami. Yes I can help you with a current phone number. Glad you were able to meet and spend time with Siddhar Mona Swami. I know he has been very helpful and inspirational to many who have difficulties. Its also very nice to spend time at his Ashram in the countryside around Arunachala. Currently 10 sannyasins live at that place . . . and the area has a very soothing and calming energy.